As the teacher, you are the primary architect of your classroom culture. You make the rules. You decide which behaviors are rewarded – even subtly with a smile or a few encouraging words – and which are discouraged. You can add community-building elements to lessons – even small ones, such as Turn and Talk or reminding students that mistakes help us to learn. You can choose how you greet your students at the start of the school day and how you send them home at the end. 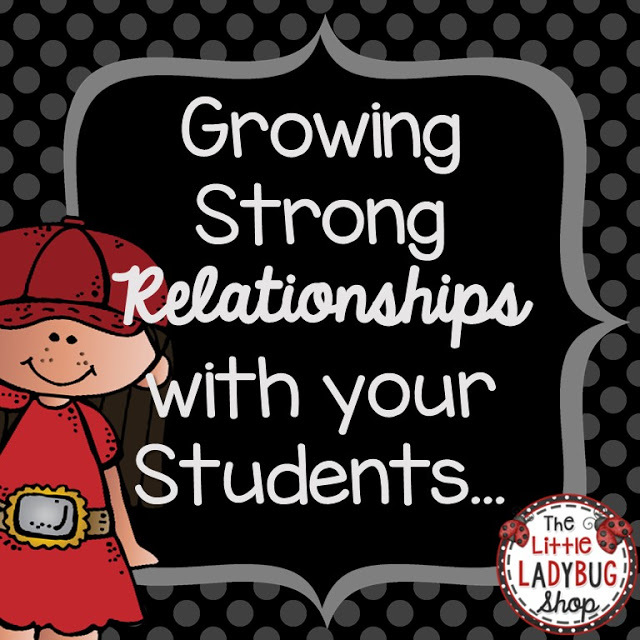 Each day, dozens of your choices and interactions, as well as the procedures and structures you put in place at the start of the year, help to build your classroom community. Here is a giant (yet far from exhaustive) list of ideas to consider. Some are ideas for activities, others are strategies you can use on a daily basis. Take what appeals to you, click the link or google to go deeper on strategies you find intriguing, and leave the ones that don’t click for you and your teaching philosophy. Do a few ice breakers to help your students get to know each other, like this back to school snowball fight and these free Student Search Bingo activities. Or try these Walk, Talk, Trade Ice Breaker Question Cards. Do some kind of art activity involving students’ names and display them together. This could be a collaborative project, such as a giant puzzle in which each student colors his or her own piece and then it is assembled on a wall or door. When students see their name displayed with their classmates’, it reinforces that they are part of the group. Create a craft project to which everyone contributes – a class quilt, mural, or flag, for example. Small groups and pairs are a great way for students to get to know each other better. Try this free Get to Know You Jenga Activity. Consider arranging desks in clusters of 4-6 so students can get to know each other. You might want to move kids around frequently during the first few days before settling into a more permanent seating arrangement. Create a class mascot – a stuffed animal or even an invisible one. Consider doing a wearable project in which everyone’s looks pretty much the same, such as tie-dyed T-shirts or decorated bandannas. Kids can wear them for field trips or spirit days. Establish a Code of Behavior (sometimes called classroom rules) together. When students come up with the rules themselves, they are more invested in following them. One way to do this is to brainstorm a giant list and then group the rules into a few all-encompassing rules. Try to keep your main class rules (the ones you post) to five or less. Of course, there will be many other rules that will be decided by you and have more to do with classroom procedures. Make sure students know your procedures and the reasons they are important. When you introduce your classroom jobs, emphasize that completing the jobs is an important part of making the classroom run smoothly. Have kids imagine what would happen if certain jobs were not done. Set up some kind of Star of the Week, VIP, etc. program to honor a different student each week. There are many things you can have the special student do (bring a special treat, share a special possession or book, fill out an info sheet/bring photos, etc. ), but one of my favorites is to create a class book for the student on Friday. I always used half-pages. The VIP decorates the covers, while his or her classmates each complete a page with a positive comment and a picture. Make your page the last one, bind it, and send it home as a lasting keepsake. Have students write you letters telling you what they wish their teacher knew. Leave plenty of wall space for student work. Seeing their own work reinforces that they are part of the community and that their work is worth displaying. Leave space for motivational posters – especially those that speak to kindness and growth mindset. Here are some your students can color! Take tons of pictures and/or have one of your classroom jobs be class photographer. Print and post throughout the classroom. Change frequently and send the ones you take down home with students who are in them, or collect them in a scrapbook that you keep in your class library. Students can write the captions. Skip anything that makes academic achievement (or lack there of) public, especially when it makes it easy to compare one student to another. Star charts, data walls, etc. Greet students by name each morning. This is also a good time to assess their physical and emotional state – is the child visibly upset? Hungry? Tired? What can you do to help before the day starts? Consider making the first activity of the day (bell work or morning work) something fun – a brain teaser, higher level thinking activities, intriguing journal questions, etc. rather than a skills review or rote activity so that your students will look forward to coming to school. When you have a few spare moments, ask Would You Rather Questions, do Mad Libs, tell jokes – a little fun goes a long way. Incorporate Random Acts of Kindness (RAK) into your classroom community. Here is how one teacher got her students excited about RAK, and here is a fun RAK freebie. Encourage students to find ways to be kind to each other, school staff, and within the wider world. Consider doing a class service project, such as raising money for a food bank or collecting winter clothing for a homeless shelter. Be dependable and predictable. Students feel safe when they know what to expect. Check out these 5 Traits of Effective Classroom Managers. Watch your words. How we phrase things can make a big difference. Don’t phrase commands as requests. Often teachers do this by adding the word “okay” to the end of a sentence, as in: “It’s time to put your crayons away, okay?” Drop the “okay.” Making a command seem like a request not only weakens the command but also confuses the student. Part of making students feel safe in your classroom is giving clear expectations. Help students to see themselves as valuable members of the community by labeling good behavior: “It’s good to know we can depend on Kia to clean off the white board.” Instead of saying, “I need four students to help clean up the art area,” try, “I need four helpers to clean up the art area.” Believe it or not, studies have found that this will get you more volunteers because students want to see themselves as helpers, and this phrasing helps them to do that. When a student answers a question partially right, replace, “Who can help Kelsey out?” with “Who can add to what Kelsey said?” Rather than making Kelsey feel bad for getting the wrong answer and needing help, now she feels that she has gotten part of the answer correct. Make it clear that negative comments toward classmates are never acceptable. Teach students the difference between constructive criticism and put-downs. On a similar note, don’t tolerate students talking negatively about themselves. Teach them to replace negative self-talk with positive self-talk. Make it clear that mistakes are a part of learning. Acknowledge students positively for taking risks. Laugh at your own mistakes. Model perseverance and risk-taking. Add mindfulness exercises to your day. Mindfulness and awareness have a positive effect on academic performance and well-being. Use Brain Breaks liberally, especially as students get wiggly or as eyes glaze over. Incorporate movement into your lessons whenever you can. Consider incorporating Morning Meeting into your day or week. Make sure your classroom includes cozy places for reading, meeting with a small group, etc. Consider a class pet, maybe some plants, desk lamps, wind chimes, stuffed animals – things that make your classroom feel unique, special, and cozy. Act and talk as if your class is the best one you have ever had and you can’t believe how amazing they are. When they disappoint you (are rude to the sub, for example), act surprised, as if you can hardly believe this group of kids could have done such a thing. When they behave well, praise them, but in such a way that it is clear that you would expect nothing less of such a stellar group. Praise your class to other adults within students’ hearing. Go on as many field trips as you can manage (of course, connecting them to your curriculum). Have special days and events such as Poetry Slams, Read Across America, Pi Day, etc. Be hyper vigilant of everything that is going on in your class (well, as much as possible). Nip problems in the bud with subtle actions, such as standing near a student who is off-task, giving a student “the look,” and making expectations clear. Constant behavior issues undermine your community. When dealing with “that kid,” take a deep breath. Use a calm and quiet voice. Try to make corrections as private as possible. If at all possible, empathize. We all know that those are the kids that need our understanding and patience the most. Consider a setting up a secret signal for a student who struggles to control a disruptive behavior, like shouting out answers. When the student sees you scratch your nose, touch your waist, or whatever the signal is, he or she is reminded to check the behavior. Try a variety of different strategies – alternate seating and fidgets for wiggly students, assign more challenging work, teach older students how to take sketch notes, give the student a special job, use a behavior chart/reward system, etc. Make sure your students have a variety of strategies for dealing with conflict (walking away, using a peer mediator, talking it out etc.) Post them on the wall. Try to get students to come up with their own solutions/consequences before giving them one. Use journals or a structured printable to help students reflect on poor behavior and make a plan for making wiser choices in the future. Remember that even one friend for a neglected or rejected child can make a world of difference. Try partnering students to encourage friendships. 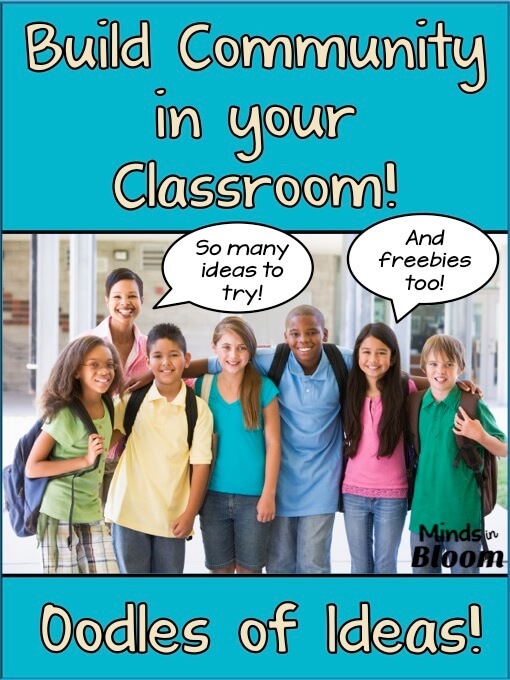 Try these free Friendship Cards to help students improve their social skills. Short-term solutions can really help – especially just before the holidays or summer break when kids are getting squirrely. Here are some teacher-suggested ones to try. Group and partner students frequently in many different ways. Every student should be able to work cooperatively with every other student in your room. Avoid letting students choose their own groups, as this often results in hurt feelings and all kinds of kid-drama that we, as teachers, may not even be aware of. For quick activities, group students randomly. For long-term projects, form groups more carefully considering academic ability, temperament, existing friendships (or lack there of), etc. Have rules and procedures for working in groups – how are ideas curated and decisions made? How is the work divided? How are disagreements resolved? Try role-playing as a fun way to model good and bad group behavior. A fun way to do this is to divide students into groups and give each one a situation – such as not everyone is doing their fair share or there is a disagreement about how to complete the project. Then, have each group do a short skit showing the wrong way to solve the problem (they will love this) and then a more positive strategy. A little discussion after each skit will help to drive home the point. Be sure the instructions are clear and that the project is structured. Consider assigning specific roles (note keeper, supplies manager, moderator, etc.). Keep in mind that group work is very challenging for some students – introverts, students on the spectrum, or students with ADHD, among others may find group work frustrating. Be ready to give groups containing those students extra support. Give students who may get overwhelmed, over-stimulated, or upset a safe place to calm down and collect themselves – ideally before things escalate. Read and discuss books such as Wonder, The Hundred Dresses, There’s a Boy in the Girl’s Bathroom, Fish in a Tree, and so many more in which values such as kindness and friendship, and acceptance are prominent. Include biographies and other nonfiction readings, as well, that show people demonstrating kindness, perseverance, and other important traits. Allow time for students to give each other specific, positive feedback – after a student presentation, discussion, etc. Use strategies such as Turn and Talk and other Kagan Structures. Use anchor charts, but remember that their power lies in how they were made, which should be in collaboration with your students. An anchor chart is most valuable as a reference tool when students remember the discussion that went along with its creation. Incorporate art, music, physical movement, technology, etc. Not only do these things add fun to your lessons and in many cases increase learning and retention, but you may also discover hidden talents that will make some of your struggling students shine. Make learning relevant and meaningful with project-based learning, choice activities, and open-ended activities. Consider implementing Genius Hour for those passion-driven projects. Allow students to self-correct as much as possible – more empowering for them, easier for you. Rethink having students trade with their neighbors to correct papers. This can be humiliating for struggling students. And finally, remember to take care of you! As you know, teaching is an incredibly stressful job. An empty cup has nothing to give. Fill yours with whatever nourishes you – hot baths, pedicures, time with friends, dinner out, time to read, exercise, yoga, chocolate, Antique Roadshow, singing in the choir, gardening, dancing – whatever it is, DO IT!